It's that time of the year when brands are releasing christmas sets, the days are getting chilly and pumpkins are everywhere. Also the Boots christmas catalog is out now which means that the official countdown to christmas has now begun. Get ready for all the christmas posts over the next couple of months! The lovely people at Kartel have sent me the gorgeous *Kartel Lewis Rose Gold 40mm RGT Watch (£65) which features a 22mm tan genuine leather strap, stainless steel caseback and it is water resistant up to 30m. It comes in a gorgeous minimal but elegant gift box so it would be a fantastic christmas gift. I love the watch design, it's so classic and minimal but it's still elegant, striking and great for everyday or for more formal occasions. The leather strap is soft and flexible so it doesn't feel uncomfortable on my wrist and it has enough size markers for my tiny wrist. The face is quite large, especially compared to the cheaper watches I own but I love it. As a blogger, I love anything that is rose gold so this watch is perfect for me. The warm tan strap and the gorgeous rose gold is a lovely autumnal combination but if you didn't like this colour combination then you should check out their site as they have SO many watch designs to choose from! Overall, I'm so happy with the watch, I've been wearing it constantly but I think it would be a fantastic christmas gift too as the classic design will be perfect for everyone. Kartel will be offering free engraving on all watches throughout November and December which will make a watch even more special! I cannot recommend Kartel watches enough! Overall rating: ★★★★★, 5/5! 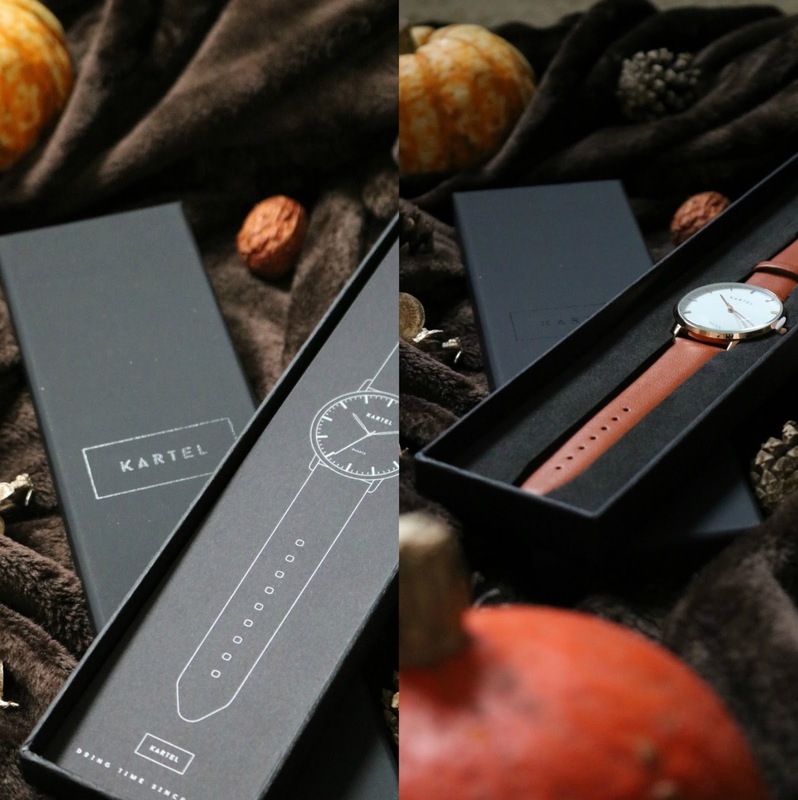 What do you think of Kartel Scotland watches? gorgeous minimal watch! love the colour too, such a good one for fall! I love the look of the face of the watch, but I am not a fan of the leather strap. I am more of a link person.